The extreme cold that swept the Midwest last week brought brutal and deadly conditions for millions of people in the U.S. The “polar vortex,” which typically remains locked into the North Pole, threatened catastrophe as wind chill temperatures dropped as low as -70 F.
Outrageously, many workers, not employed in essential public and emergency services, were forced by their employers to go to work despite temperatures that cause cars to break down and frostbite to develop in a matter of minutes. At least 21 people died as a result of the prolonged cold including a worker at a FedEx Freight hub in Illinois who was found frozen between two semi-trucks at the facility. This underlines the urgent need for working people to fight back against the complete failure of the corporate establishment to do what is needed in the face of climate change. Following a year of some of the worst fires and flooding in recorded history, this extreme cold will fuel further alarm that our society is not prepared for the changing climate, which has been overwhelmingly caused by capitalism. Around the world, protests are growing against the inadequate policies and inaction of the establishment. Student protests have been growing in Europe and are culminating in an international day of action on March 15 which could include student walkouts in the U.S. on that day. But despite the massive support for urgent measures to address climate change, the establishment and billionaire elite continue to stand in the way. Socialist Alternative firmly believes in the power of working people to overcome this blockage and fight for a better future. Working people have an enormous stake in this fight. It’s workers in transit and emergency services – not CEOs – who endured the harsh cold of the Polar Vortex to ensure basic services are available in the Midwest. While all people are affected, the truth is that working-class and poor people and even middle-class people don’t have the same resources that billionaires do to escape fires, floods, and extreme cold. During Trump’s government shutdown, we got a glimpse of the power workers have to lead a fightback. At airports across the U.S., many air traffic controllers facing mounting stress which compromised their ability to do their job safely, decided they would no longer work for free. Along with threatened action by flight attendants and the possibility of others joining them, this rapidly posed the question of the air transportation system beginning to shut down. Without functioning airports, the prospect of a severely disrupted economy was posed. Within hours Trump’s shutdown was over. This graphically demonstrated the power of the working class. With even greater environmental and economic turmoil on the horizon, it is beyond justified for working people to use our collective power in workplaces and communities to defend against the recklessness of the establishment. The polar vortex follows on a year of extreme weather events that have raised alarm about climate change. We have seen devastating hurricanes and forest fires. A recent UN report claims that without a radical lowering of carbon emissions, we may have only twelve years of much more cataclysmic events before a massive rise of sea levels become inevitable. Capitalism and the billionaire class has left our communities everywhere vulnerable to disaster. In the Midwest, more than 50,000 homes lost electricity during the worst periods of life-threatening cold temperatures. Urgent messages went out to all Xcel Energy customers in Minnesota that an even greater catastrophic failure of the energy grid was possibile if all customers did not reduce their thermostats to 55 degrees. This raises further questions about the aging infrastructure in the U.S., which is crumbling, outdated and dependent on fossil fuels. The idea of a Green New Deal, pushed by environmental activists and given strong support by democratic socialist representative Alexandria Ocasio-Cortez points in the right direction. We urgently need massive public works programs, paid for by the rich and employing unionized labor, to put millions of people to work to help repair and upgrade the country’s rotting infrastructure; retrofit buildings with energy saving technology; repair and rebuild seawalls; modernize our energy grid; and transition the economy to renewable energy sources as rapidly as possible. Such a plan cannot rely on the private, for-profit sector who care more about profits than the urgent need to defend communities from extreme weather and rising oceans. In California, the private for-profit energy company PG&E and its faulty and outdated equipment, is responsible for many of the most devastating forest fires, including the recent Camp Fire that destroyed the entire town of Paradise. Rather than investing in the needed maintenance works, it has been more profitable for PG&E to let its facilities rot and start fires. It’s more profitable for Big Oil to keep drilling than to begin investing its vast resources in a rapid transition to renewable energy. The logic of capitalism means big business puts profits before the lives of working people – and actively stands in the way of the change that is needed. To break this blockage, the big energy companies, and the banks that fund them, must be brought into public ownership under the control of elected committees of workers and the public. On this basis, resources and the most modern technology could be redirected to a democratically agreed plan to develop clean energy and upgrade infrastructure. To win over workers and unions in fossil fuel industries – whose social power can play a key role in defeating the big oil bosses – we need to guarantee the right to a just transition for all workers in those industries, with adequate compensation and retraining for them and their families. A movement led by the working class to combat climate change will not leave communities to suffer the way big business has neglected former mining communities in West Virginia or communities in the rust belt in the Midwest. Capitalism is literally addicted to fossil fuels and stands in the way of doing what is needed. Only a socialist economy based on democratic planning can meet the challenges posed by climate change. Right now, we need to build an active fightback of millions of people centered on the power of working people. We need to campaign for the environmental movement to build links with the unions, and for unions to break with the Democratic Party’s corporate establishment and help lead a united fight against the billionaire class. As the effects of climate change worsen, we should be confident that working people will fight back. The “yellow vest” movement in France shows what is possible. For over two months, tens of thousands of people have been waging a revolt against the “government of the rich” under President Macron, and his attempts to offload the cost of the climate crisis onto workers. 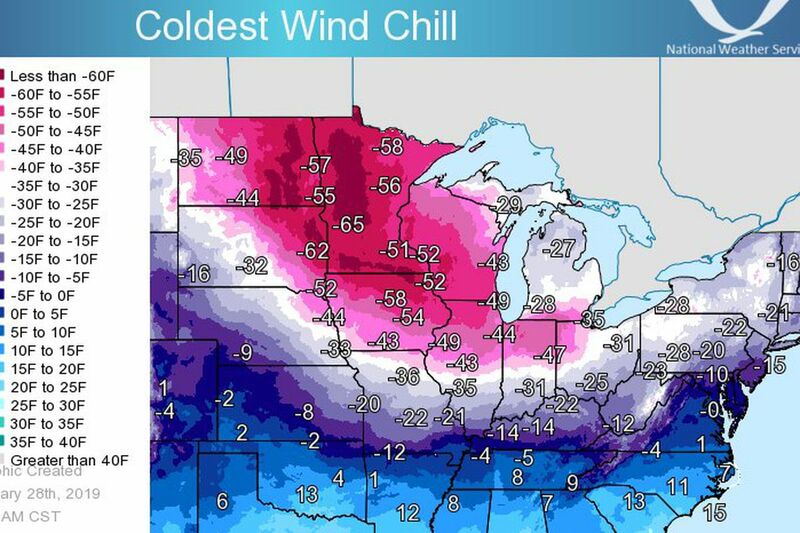 This latest example of extreme weather in the Midwest further underlines the need for working people to take the lead in the fight against climate change and the reactionary capitalist system that stands in the way..